As the holidays approach, hopefully you'll have some time to rest and recharge. 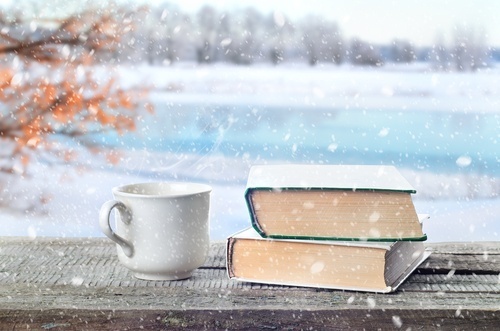 The holiday break is always a good time to feed your mind with a good book (or three). Here are some of my favorite reads. Written by Charles Duhigg, a reporter with the New York Times who also spoke at HubSpot's Inbound conference this year. Duhigg's premise is that habits can be good or bad and they can be both personal or organization wide habits. We often think of habits, like addictions, as negative. But if you can create positive habits both personally and organizationally, you'll stand to benefit a great deal from them. The key to exercising regularly, losing weight, being more productive, and achieving success is understanding how habits work. As Duhigg shows, by harnessing this new science, we can transform our businesses, our communities, and our lives. This is a tough read, but worth it. It's a college textbook, so don't expect any whimsical storytelling, but it does expose you to the depth and breadth of statistics both in theory and in implementation. And get a used copy. A new copy is crazy expensive. This text is designed to help students become knowledgeable readers of cross-curriculum quantitative research literature. It provides a clear inviting view of quantitative research strategies for those students who may or may not have a mathematical background. With the continued growth of analytics in marketing, the more you understand about how statistics really work and what is a significant statistical finding, the better off you will be. Workers who understand how to make sense of the 'numbers' will be the influencers of the decision makers. An oldie but goodie. This is a very effective foundational book that explains the science behind why consumers do what they do. It's very much about understanding what triggers certain types of desired (or not desired) consumer behaviors. After years of study in the area of consumer behavior, Mullen and Johnson bring together a broad survey of small answers to a big question: "Why do consumers do what they do?" This book provides an expansive, accessible presentation of current psychological theory and research as it illuminates fundamental issues regarding the psychology of consumer behavior. Any one of these three books will enlighten you and make you a better marketer. So get some rest and relaxation in this holiday break but don't forget to recharge your mind with a book (or three).